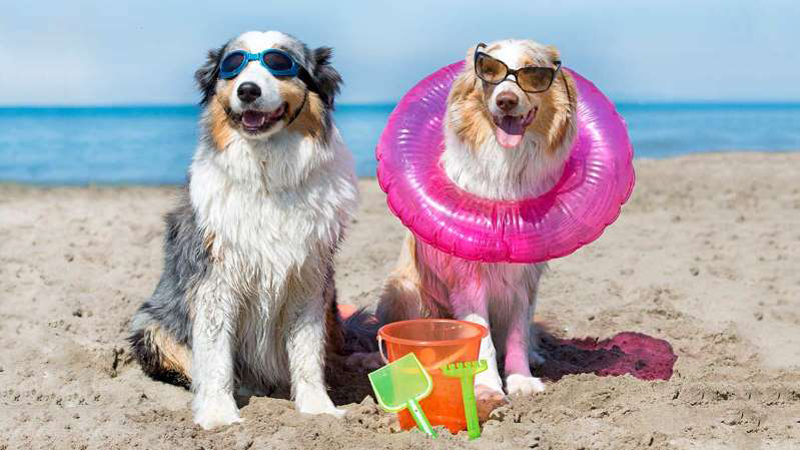 Taking a Vacation With Your Dog Might Cost More Than You Realize With spring just around the corner, you may be thinking about taking a vacation with the family. But what you do about the dog? With spring just around the corner, you may be thinking about taking a vacation with the family. But what you do about the dog? While you could leave Fido at home with a caretaker, with family members, or in a kennel, you may find yourself worrying the whole time you’re away. So many Americans decide to take their furry family member with them. According to the National Pet Owners Survey, by the American Pet Products Association, 40 percent of pet owners take their dogs with them when they travel. That’s up from 19 percent a decade ago. The downside, though, is that taking your dog with you can be expensive, in more ways than you might imagine. Here’s what you may have to pay and some ways to reduce the financial hit. There are a number of steps to safeguard your dog, depending on your destination. Here are some to consider. Go to the vet. If you’re flying, you’ll need a health certificate to show the airline that your pet is fit for the trip. You’ll have to pay for an office visit and any treatment needed to get your dog healthy, says Leila Coe, an independent travel consultant with Travel Planners International, an agency based in Maitland, Fla.
Insert a microchip. If your dog doesn’t have a microchip, that’s something else you should get, says Susan Smith, president of the pet-travel website PetTravel.com. If your dog escapes in a strange place, a microchip will make it easier to track him down. Implanting a microchip in a pet costs about $45, according to the pet adoption organization Petfinder. Give your dog a flea bath. If you’ll be staying in a hotel or renting a car, it might be smart to take precautions and pony up for a flea treatment (about $10 to $15, according to various vets) lest you leave critters behind and get charged a cleaning fee, Smith says. The costs of taking a dog with you will vary depending on your mode of transportation. Taking your dog on your flight. Much of the cost of traveling with your pooch comes down to transportation. Airlines usually charge around $125 one way to take a dog in the cabin. You’ll need to buy an airline-compliant pet carrier if you don’t have one. Costs range from $35 to $250, depending on the size of the dog and the manufacturer, Smith says. And you may need to pay to check your suitcase because your pet counts as a carry-on item. Some airlines (including the major carriers) will no longer allow dogs too big for the airline cabin to travel in the luggage hold. Instead, they have to travel as air cargo. That means that when you arrive, you’ll have to go to the cargo area of the airport to get your dog rather than have your dog arrive with your other luggage. Flying a dog in cargo can be expensive. The amount you’ll have to pay varies by airline as well as by the weight and size of the dog. But it can be several hundred dollars each way for a domestic flight and even more for international flights. (PetTravel.com lists what airlines charge.) Plus, to keep your pet safe you’ll need to buy a sturdy crate that’s compliant with International Air Transport Association regulations, Smith says, so don’t skimp on quality. The crate could cost $50 to $150. Opting for a road trip. Even if you decide to cut costs by driving, you could still have some expenses. “You buckle up the rest of your family; you also need to buckle up your pet,” says Kim Salerno, founder and president of the pet-travel website TripsWithPets.com. If you don’t own a harness seat belt, doggy car seat, or pet barrier, add that to the list of vacation costs. A harness seat belt could cost about $35, Salerno says. If you rent a car, you should know that most rental companies are pet-friendly and don’t charge additional fees. The hitch is that you might get a bill on the back end if you return the car covered in hair or fur. Smith recommends putting a sheet over the seat or going to a car wash for a good vacuuming before you drop the rental off. Traveling by train. Amtrak allows dogs and cats onboard, but they must weigh 20 pounds or less and can go only on trips shorter than 7 hours. The cost: $26. Taking to the seas. Though most cruise ships don’t allow dogs, the trans-Atlantic Queen Mary 2 does have a kennel. Pet passage costs $800 to $1,000, and space in the kennel can sell out a year in advance, Coe says. Hotels and motels. Most will charge a pet fee (and may limit dog size). Amy Burkert, who runs the pet-travel website GoPetFriendly.com, considers $20 per night per pet to be reasonable, although some hotels charge $100 or more. On the other end of the spectrum are chains that let pets stay free: Aloft Hotels, Kimpton Hotels, Motel 6, and Red Roof Inn. And hotels may impose restrictions. “A lot of hotels say they’re pet-friendly, but then they don’t let you leave your dog unattended,” Coe says. If you want to have dog-free time on your trip, you may need to factor in the price of a local doggy day care. We found prices that ranged from $15 to $40 per day, depending on location. Rent a vacation house. This would probably give your pooch more space to run around. But you should still expect to pay about the same in pet fees as you would at a hotel—and you’ll probably need to make a refundable deposit just in case your pet does any damage. Of course, there’s plenty you can do with your dog free of charge. The website TripsWithPets.com offers a state-by-state database of pet-friendly activities and locations. Your dog, for example, can join you for an architectural tour of Savannah, Ga., a lakefront speedboat tour of Chicago, or a visit to boutique wineries in, say, Calistoga, Calif., at no additional cost. Another option Burkert recommends is renting an RV and staying at a campground, few of which charge fees to bring along a dog. Companies that rent RVs will probably put a hold on your credit card as a deposit, but as long as you return the vehicle damage- and fur-free, you should get your money back. Last year Burkert published a book, “The Ultimate Pet Friendly Road Trip,” about a 15,000-mile road trip she, her husband, and their dogs took to pet-friendly attractions across the U.S. She points to one cost saving that may come from traveling with your pet. “Instead of museums and expensive restaurants, the activities I choose tend to be more outdoorsy and active,” Burkert says. You and your pooch can tour places like the National Mall in Washington, D.C.; the San Antonio River Walk; and the Lakefront Trail in Chicago—and it won’t cost a penny.